I'm getting this anoying thing all the time. Like I open page and when I click on something on that page like it's pop up place something try to pop up but adblock do his job he blocks it but then I got transfered to another page and it's like impossible to go back because there is something like download when you go back do you really want to go back and circle. This sounds like malware. Can you please attach a screenshot that shows one of these pop-ups or the page it takes you to? Please be sure to capture the entire browser window. Could you please also click the AdBlock button and select Options, then click SUPPORT. Next to "Have our team requested some debug info?" click here and paste the text from the box into this discussion. I gave you suggestion and you sending me to forum like that's gonna help. The ads you're seeing are injected by malware on your computer. AdBlock can only block ads that were on web pages in the first place. 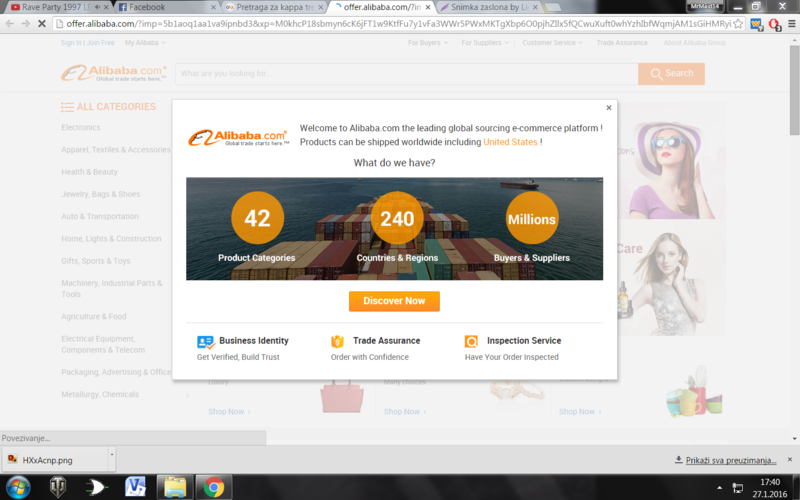 You can read how to remove AliBaba pop-up ads on Malwaretips.com. Rhana closed this discussion on 31 Jan, 2016 05:51 PM.